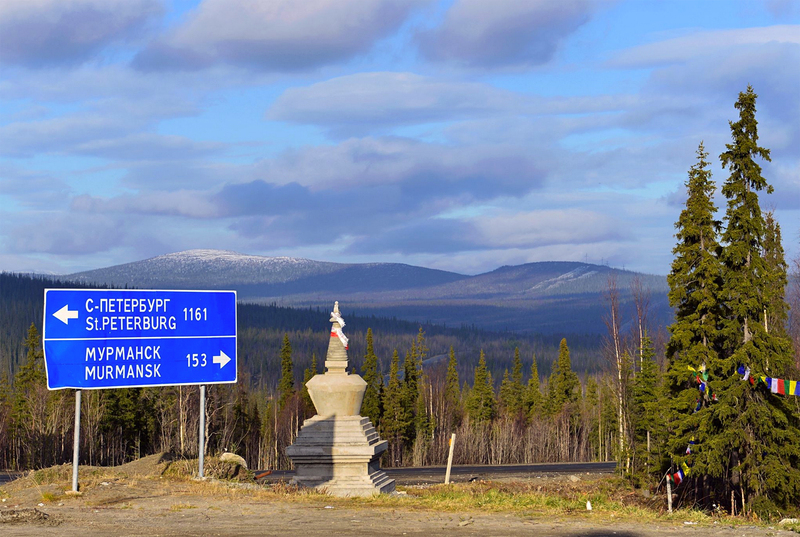 The world’s northernmost Buddhist stupa has opened in the town of Apatity, located about 1,050 miles north of Moscow. Tibetan Monk Tangerang Lama Pema Lhundrup Gyatso Rinpoche came to the town to consecrate the “Enlightenment Stupa” on August 4, reports Russian TV channel TV-21. Construction of the stupa began in October 2014 on the initiative of local businessmen and brothers Igor and Oleg Belyaev. A stupa is a Buddhist place of worship. The Enlightenment Stupa, one of the seven main types of stupa, symbolizes the Buddha’s attainment of Nirvana, the ultimate goal of Buddhist practice. The Tibetan guru will be accompanied on his journey to the far north by Russian lama Nikolai Akhmerov, one of the few specialists that can translate the Tibetan language into Russian.